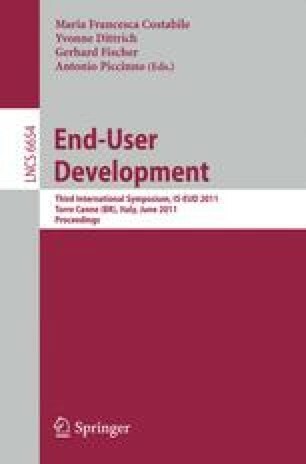 Despite advances in mobile computing technologies, end-user development has mainly focused on desktop applications. Fundamentally contrasting desktop applications, mobile applications should satisfy the changing needs and tasks of the users on the move, and usually have a strong affinity with the physical world surrounding the users. We illustrate the potentials of this novel area for end-user development through the case of city exploration and we discuss how the different techniques of tailoring, sharing of user-generated content and code, and service composition can be exploited by users to create a tailored city exploration.